You are at:Home»Deals»Buy iPhone 8: Verizon, T-Mobile, Sprint, & AT&T | Best Deals On iPhone 8 & 8 Plus! You want to buy an iPhone 8 or iPhone 8 Plus, but you’re not sure where to find the best deal. The iPhone 8 is Apple’s newest iPhone and it’s loaded with awesome new features. In this article, I’ll show you how to buy the iPhone 8 from Verizon, AT&T, Sprint, & T-Mobile! When Can I Buy iPhone 8 or iPhone 8 Plus? The iPhone 8 is available for preorder at 3:01 AM ET, 12:01 AM PDT on September 15, 2017. You can’t go to a store that late, so you’ll have to order the iPhone 8 online. The iPhone 8 will be available on Verizon’s Go Unlimited Plan and Beyond Unlimited Plan. 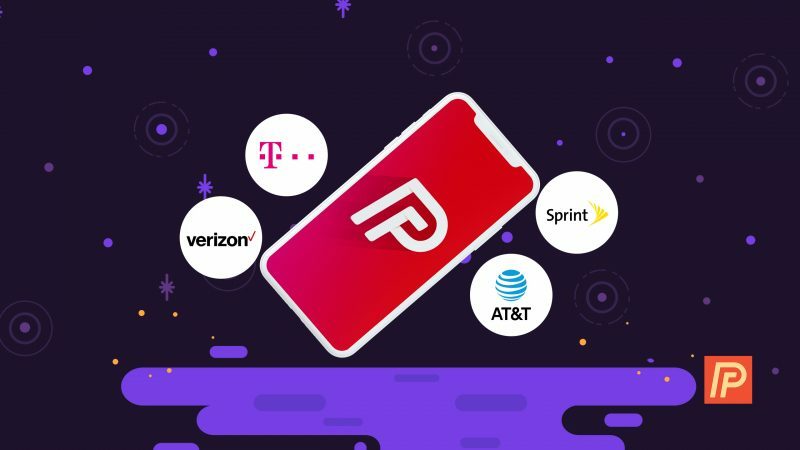 Both of these plans include unlimited 4G LTE data, unlimited talk & text, high-quality streaming options, unlimited mobile hotspot, and Verizon Up rewards. If you don’t need an unlimited plan, you can also get an iPhone 8 on a smaller plan that includes 5 GB of data. Need a family plan for multiple devices? You can also buy the iPhone 8 from Verizon by signing up for a family plan that includes 2 – 8 shared GB. Verizon’s Go and Beyond unlimited plans are also applicable to family plans. Check out our table above if you’d like to an iPhone 8 on Verizon. AT&T offers the iPhone 8 with their Next plan and Next Every Year plan. It’s important to note that these are not the cellular plans and only determine the schedule of your phone upgrades. Once you’ve selected your upgrade plan, choose a cell plan. With the iPhone 8, AT&T offers two unlimited plans: Unlimited Choice and Unlimited Plus. Both of these plans include 22 GB, while Unlimited Plus also includes HD video streaming, HBO, and 10 GB of mobile hotspot. If you don’t need an unlimited plan, you can sign up for a plan that includes 3 – 16 GB of data. AT&T also allows you to buy the iPhone 8 without an annual contract! You can buy an iPhone 8 on AT&T by following our link in the table above. Sprint gives you the option to buy the iPhone 8 at full price with no contract, or with a cellular plan that is paid in smaller, monthly installments. Sprint offers two main cell plans: a 2 GB plan and an unlimited plan. Sprint’s unlimited plan includes unlimited data, calling, and texting as well as HD video streaming and 10 GB of mobile hotspot. If you’re ready to pick one up, our table above has a link where you can buy a iPhone 8 on Sprint. You can buy the iPhone 8 from T-Mobile when signing up for their ONE plan which includes unlimited talk, text, and LTE data as well as unlimited video and music streaming. Our table above has a link to buy an iPhone 8 on T-Mobile if you’re ready to purchase one for yourself. Gr8 Deals On The iPhone 8! We hope this article helped you find the best deal on the iPhone 8 from your wireless carrier. If you know someone who wants to buy the iPhone 8, make sure to share this article with them! Thanks for reading, and feel free to leave a comment down below letting us know what you think of Apple’s newest iPhone. Disclosure: We may receive a commission if you purchase an iPhone 8 after clicking one of the links above. Next Article Is iPhone X iPhone 10? Whether To Say “iPhone X” or “iPhone Ten”!